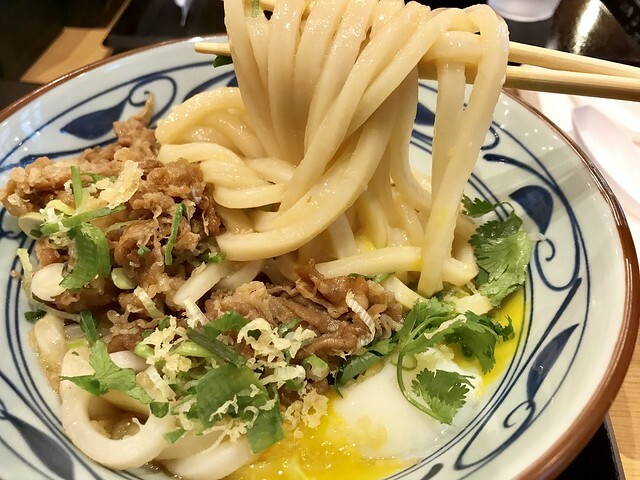 Udon, to me, is fairly boring – unless it’s from Marugame Udon. Their reasonably priced noodles are worth subjecting my clothes to the inevitable smell of fried food that comes from a Marugame Udon visit. 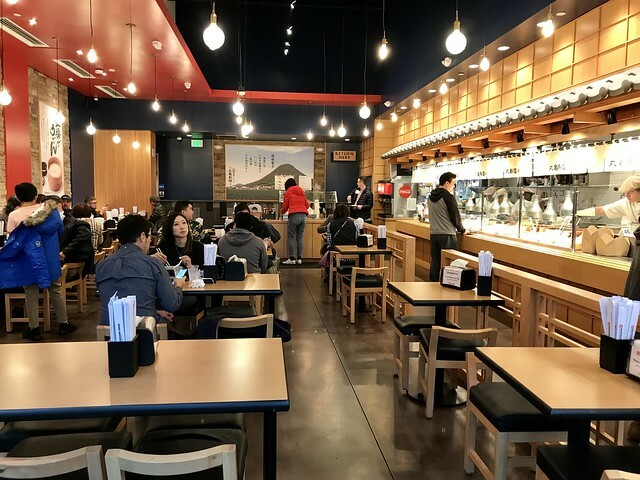 This Japanese chain has been expanding quickly, bringing their freshly made udon noodles all over California. While their other locations always seems to have a line out the door during peak times, their Beverly Center spot is noticeably quieter. 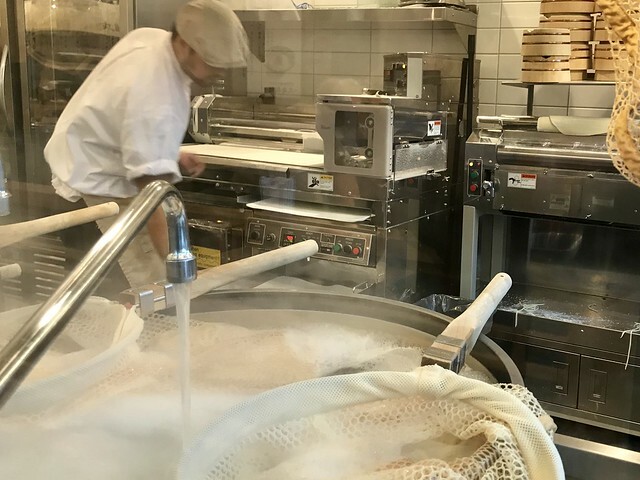 Marugame Udon’s cafeteria-style set up whisks you past the noodle-making station at the front, which, if you’re lucky, you’ll see the fresh noodles emerging from the machine. Once you’ve placed your order, your udon is boiled and then made right on the spot. 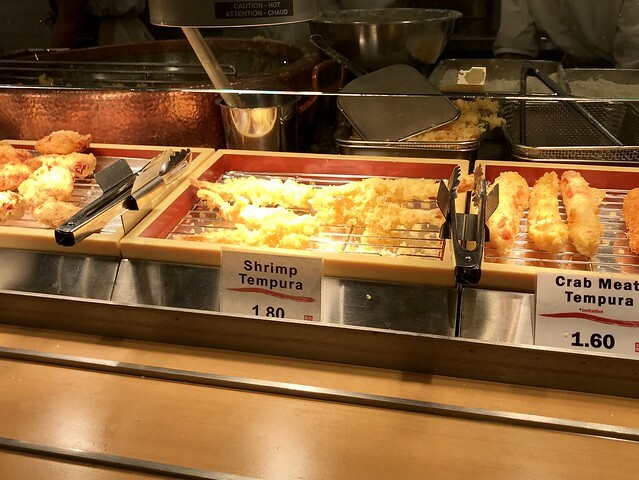 You’ll move down the line, past the many tempura offerings, which are fried in small batches to ensure freshness, before you arrive at the cashier. There’s a little condiment bar at the end, which you can use to customize your udon with tempura flakes, green onions, cilantro and ginger. Since the Beverly Center location is less busy, seating is easier to find. 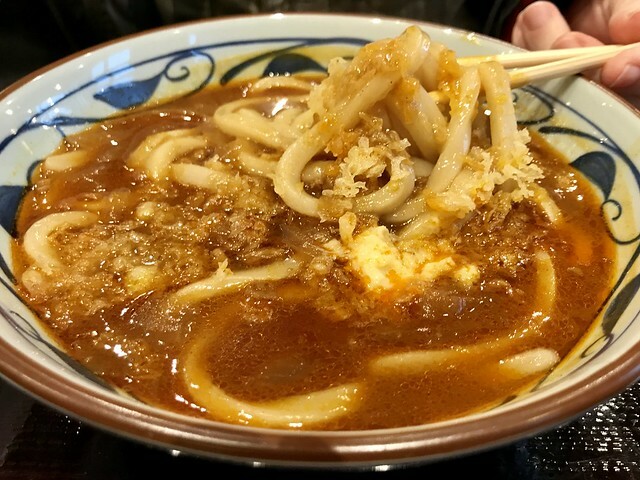 On a cold, rainy day, a bowl of the curry udon will warm you up, with the heat of the curry soup – which had a kick – and also happens to be vegan. Personally, I can never order anything but the Nikutama- that sweet beef combined with the soft-boiled egg which coats the thick noodles with its yolk is too good to miss. Another advantage of the Beverly Center location (other than being less crowded) is that parking is plentiful, thanks to it being on the ground floor of the the mall, and costs $1 per hour (for the first four hours). Cheap prices, easy parking, quick service and good food? 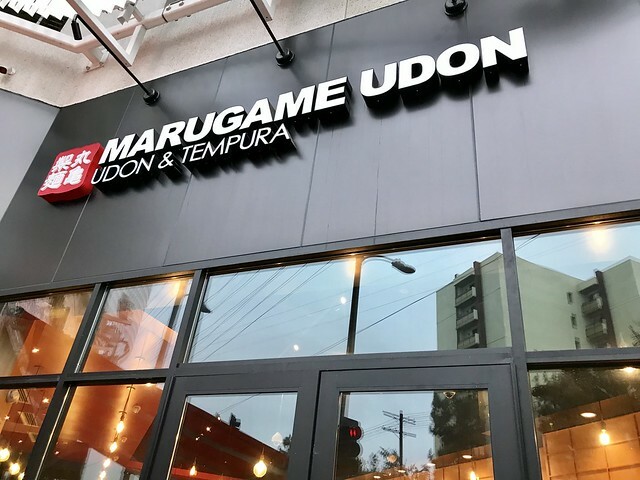 That’s the Beverly Center Marugame Udon. Vegetarian/Vegan Friendly – Yes, they have the vegan curry udon/rice bowl, fried tofu salad udon, vegan musubi and vegetarian tempura. 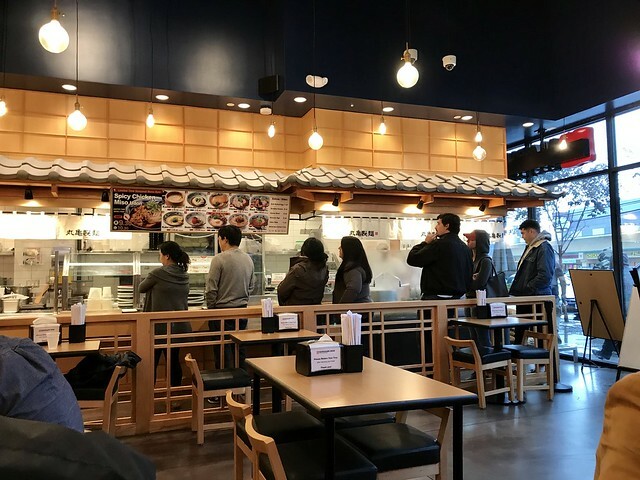 Gluten-Free Options – Yes, they have musubi (rice balls) and rice bowls.